Since being saved from the clutches of oblivion by Indian conglomerate Tata, Jaguar’s main strategy has been to produce an entirely new lineup of delightful and engaging cars. We’ve been big fans of that strategy, but between cars like the F-Type and upcoming bread-and-butter F-Pace and XE, sales have been slower than Jaguar would like. So in addition to the broadening of the brand lineup, Jaguar’s enticing customers with a few new perks. And one of those main perks is a big drop in price for pretty much everything. 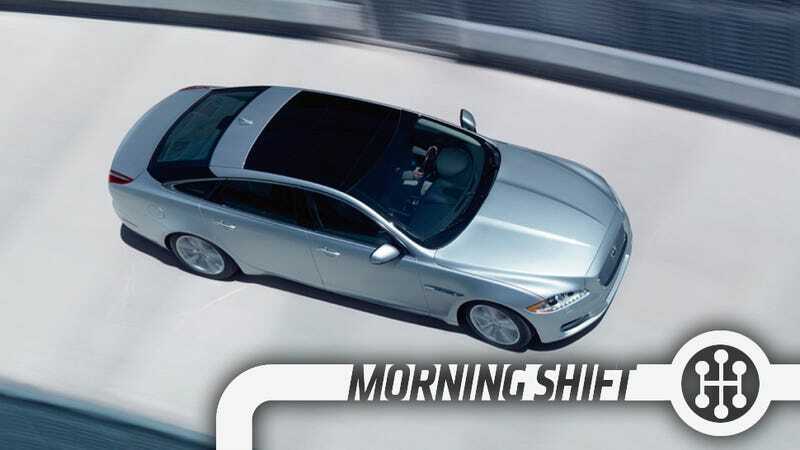 The base price of an XF is dropping $5,275 or nine percent, to $51,900. The F-Type, too, is dropping $11,850, but with more standard equipment. We were already under the impression that the F-Type was a good deal merely by existing, but we’re not going to argue with it. To cut into the nagging reliability reputation from back in the day, Jaguar’s also introducing a complimentary maintenance program, matching its limited warranty of five years or 60,000 miles, whichever comes first. All of these measures should bring Jaguar up to par with its German and Japanese competitors. Which should (hopefully) keep it around for a long while to come. Fiat Chrysler Automobiles honcho Sergio Marchionne is likely going to wait until Ferrari completes its Initial Public Offering before trying to merge with GM (again), Automotive News reports. That’s all we’re going to say about that. Volkswagen Chief Financial Officer Hans Dieter Poetsch will be nominated to succeed Ferdinand Piech as chairman of the company, according to Bloomberg. We’d like to proffer some deep insight on What It All Means, but the truth of the matter is that the shadowy internal politics of Volkswagen, like most German car companies, is shrouded in intricate family battles and politics. Maybe Poetsch is just a nice guy who hasn’t turned every last person into an enemy yet? Anyways, VW is now looking for a new CFO. Maybe you should apply! The reason why this one is buried in fourth gear, the most unappreciated of all the gears here at TMS, is that it’s the weird sort of news story that isn’t an affirmation or denial of anything, just the mealy-mouthed words of a corporate CEO not doing much at all. But anyways, here goes. “If we fundamentally believe at some point in time that we can make a difference in the automotive space, it’s something that we will look at,” Mr Hirai told the Financial Times. “We don’t have plans at this point but never say never,” he added. Booooo. Make the car or don’t, Hirai. 5th Gear: It’s Labor Day Weekend! Get Driving! It’s the start of Labor Day weekend, and gas prices are cheaper than they’ve been in 11 years. The average price of a gallon of gasoline across the United States was $2.44. That doesn’t mean you should immediately go out and buy a used Ford Excursion, but it does mean you should get out there and see the world around you. So get to it! On September 4, 1957–“E-Day,” according to its advertising campaign–the Ford Motor Company unveils the Edsel, the first new automobile brand produced by one of the Big Three car companies since 1938. (Although many people call it the “Ford Edsel,” in fact Edsel was a division all its own, like Lincoln or Mercury.) Thirteen hundred independent Edsel dealers offered four models for sale: the smaller Pacer and Ranger and the larger Citation and Corsair. Neutral: Going Anywhere This Weekend? Going on any fun road trips for the three-day weekend? Let us know where!